This rehydrating cleanser replenishes moisture, removes the day’s impurities and is particularly suitable for normal, dry or mature skin. Twice daily apply a little to your fingertips, massage into the skin on the face and neck, using circular and upward motions and remove with damp cotton wool. 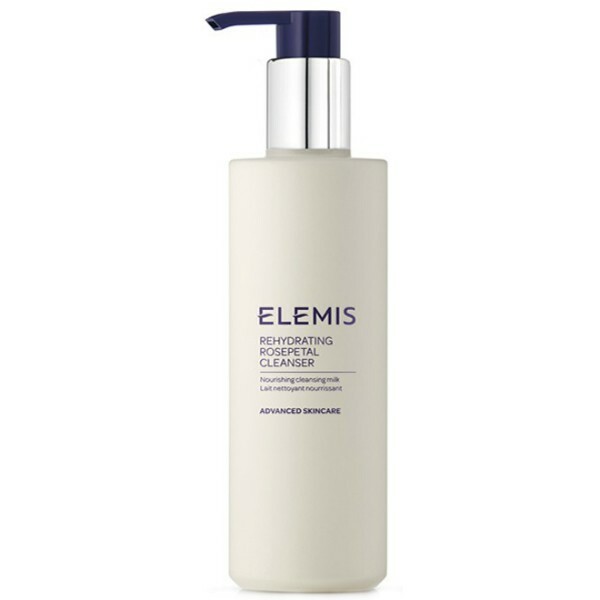 Follow by use with Elemis Rehydrating Ginseng Toner. Active extracts of healing Rosepetal, Lecithin and Vitamins E and F replenish moisture levels, whilst gently purifying the skin. Elemis Rehydrating Rosepetal Cleanser is a rich, aromatic Cleansing Milk that helps restore the youthful bloom to dehydrated and mature skin.